Feb. 21, 2017 — San Diego, CA — In a move that is sure to spark hope among the thousands of Essure Advocates here in the United States, Brazil’s national health agency announced it will no longer allow the Essure System to be sold in the country. Agência Nacional de Vigilância Sanitária (ANVISA), Brazil’s equivalent to the U.S. Food and Drug Administration, announced the decision in a press release posted on its website Monday. The announcement states the Essure System, which is classified as “maximum risk” by the health agency, can cause numerous health problems in women. These include changes in menstrual bleeding, unwanted pregnancy, chronic pain, perforation and migration of the device, allergy, and sensitivity or immune-type reactions. 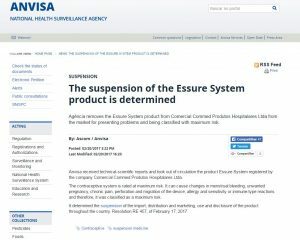 ANVISA said Essure’s classification as maximum risk and its numerous adverse side effects led to the agency’s decision to suspend importation, distribution, and marketing of the device in Brazil. The agency was also motivated to suspend the device by scientific reports, the press release states. Essure was registered by the company Comercial Commed Produtos Hospitalares Ltda in Brazil. It is manufactured in the U.S. and Europe by Bayer Healthcare. Bayer faces dozens of lawsuits in state and federal courts throughout the U.S. over allegations Essure was defectively designed and posed an unreasonable risk to women. In just over a decade, the U.S. FDA received nearly 10,000 reports of Essure adverse side effects through the agency’s adverse event data reporting system — a system that notoriously underrepresents the number of actual injuries. 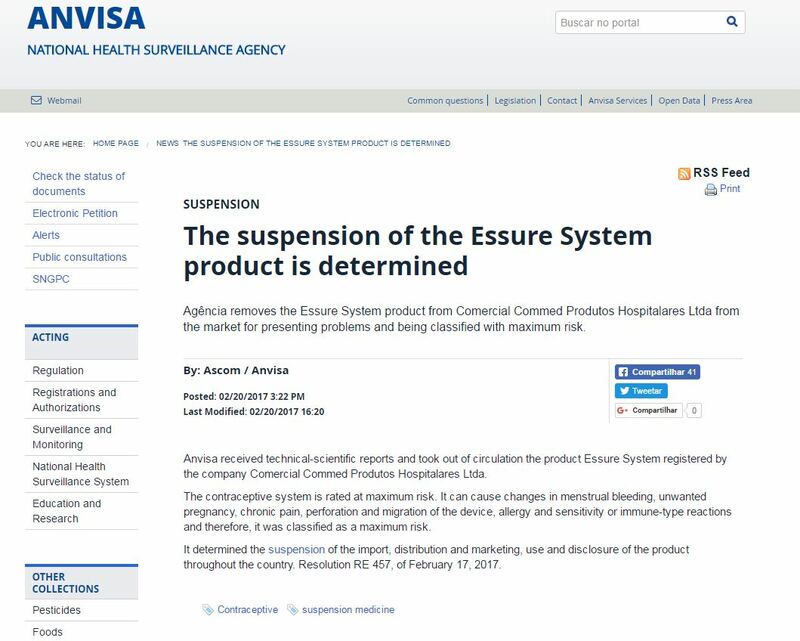 These adverse event reports, coupled with pressure from Essure Advocates and members of Congress, led to the FDA slapping its strongest warning onto the Essure device. The birth control system now includes a Black Box Warning on its label — the strictest warning issued by the federal agency short of a recall. But many advocates say the FDA’s actions don’t go far enough. They want to see the device taken off the market for good because they’ve seen first-hand the devastating effects the permanent birth control system can have on their lives, as well as their families. Could Brazil’s suspension of Essure be the first in a long list of countries to follow? Essure is a permanent birth control device made of two metal coils inserted into a woman’s fallopian tubes. The Essure System incites an inflammatory reaction within the tubes, causing scar tissue to form and the tubes to close. This prevents sperm from reaching and fertilizing an egg. Essure was approved by the U.S. FDA in 2002 through the agency’s Premarket Approval (PMA) program. This means the device is shielded from litigation, though judges across the country have ruled claims can be brought against Bayer Healthcare despite Essure’s PMA status. Since it was approved a decade and a half ago, Essure has been used in more than 750,000 women worldwide and has caused a number of health problems in a relatively large percentage of those women. Essure has been linked to a myriad of health problems, including chronic pain, migration of the device, perforation of the fallopian tubes and other organs, increased or prolonged menstrual bleeding, allergic and autoimmune reactions, unintended pregnancies, and the need for hysterectomies to remove the device. 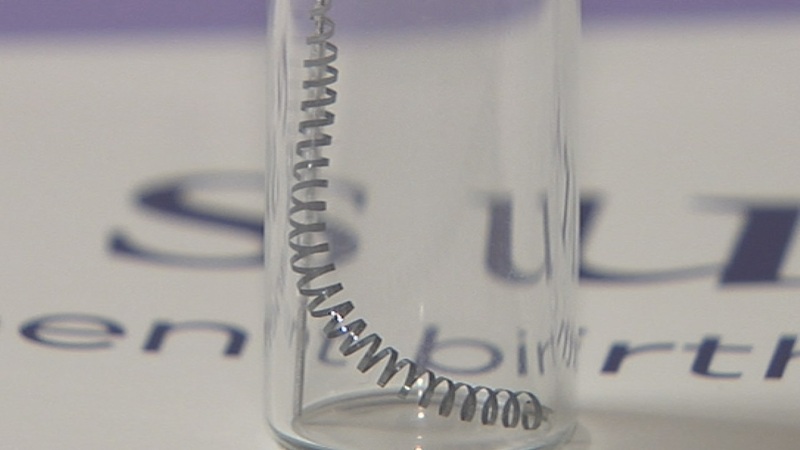 Advocates and lawmakers have been fighting to get Essure off the market for several years. Their fight continues today. Women harmed by Essure began filing lawsuits against Essure’s current manufacturer Bayer Healthcare last year and those lawsuits have begun gaining traction in both state and federal courts throughout the country. If you or a loved one were injured as a result of Essure, you may be entitled to financial compensation for lost wages and medical costs. Call the Hood National Law Group today to speak with a member of our legal team. We can help answer your questions and see if you qualify for an Essure Lawsuit with our free case evaluation. Call today at 1-800-214-1010 or use the form on the right-hand side of your screen.